In an effort to continually advance the mission of Grace Prep, and to strengthen our partnership with our parents in the education of their child, it is with great joy that we share with you a detailed exposition on where God is leading us at Grace Preparatory Academy. Over the next 24 months, Grace Prep will be putting into action what we are calling the 20/20 Vision – a plan that will build upon the foundations and current success of our school. As a Board and Leadership Team, we recognize that 60% of our student body has been in attendance at Grace Prep for less than 3 years. Though committed to the mission of Grace Prep, many of these newer families may have heard little in the way of our vision and plans for its implementation, as they were not involved in, and in many cases were not even aware of, our latest campaign to advance our school – our G3 Campaign. Moreover, those families who were here knew of, and participated in our G3 Campaign. Now that our G3 Campaign has ended, these families are primed for an expansion of our vision. We know that success and complacency cannot exist under the same roof and because of your past and future support we are confident we can complete the following objectives and make the necessary strategic shifts within our school to advance the mission of Grace Prep. We understand that the Word of God is foundational in all that we do at Grace Prep. Not only is God’s Word our foundation, His Word is our hope, “For whatever was written in former days was written for our instruction, that through endurance and through the encouragement of the Scriptures we might have hope” (Romans 15:4). Implement a robust training program that will better train and equip our teachers with biblical and theological tools and knowledge to ensure that a rich, deeper biblical worldview is integrated into every class. Implement a discipleship plan that seeks to come alongside our families in assisting them with best practices and methodologies so that we are all in alignment with training up family-centric, college-worthy, character witnesses for Christ. Increase the number of Chapels (ROG’s) at Grace Prep to twice monthly, bringing in the best and brightest guests/speakers to challenge our students to conform to the likeness and image of Jesus Christ. Develop grade level, Student Leadership Teams so that our students will have more opportunities for Christian Leadership growth within our school, our community, and beyond. Move away from “Fall Retreats” and introduce “Fall Conferences” – 2 day local/regional conference events whereby Grace Prep students can attend, engage, and be built up in the way of Christian Leadership and Ethics. Institute CLEP Boot Camps in an effort to provide more opportunities for our students to gain college credits. Institute additional offerings in Science to align with students interests. Offer NAVIANCE guidance within our Academic Services Department so that our students can have better success in choosing the College or University that they will best thrive within. Identify and integrate an “Instructional Coach” that will enhance our classroom experience by introducing our faculty to additional rigorous and relevant content delivered through best pedagogical methods and practices. Leverage technology on campus so that we are continually equipping our students with best practices and the latest skills in areas of technological advancements. Increase the instructional time for our Junior High students by adding one hour to each campus instructional day. Restructure our Senior Seminar class to include a body of work that will summarize and personalize the educational career of each Grace Prep student. This will include both orthodoxy and orthopraxy as we seek to capture the scope of education that Grace Prep affords. We understand that as an organization grows and becomes more intentional on fulfilling its mission, change is inevitable. Standing firm on Grace Prep’s historical foundations, its foundational pillars of Spiritual Growth and Leadership Development (Spiritual Development), Academic Excellence and Institutional Integrity, we boldly look to the future by formally establishing a “Lead Team” at Grace Prep. Moving forward, Dr. Evans will continue to serve and guide our school as the Head of School and Lead Administrator. Dr. Evans will have primary responsibility for the Institutional Integrity of our school as we strive to be above reproach in all matters, public and private, and push Grace Prep towards institutional excellence. Mr. Chris Harper will transition to become the Assistant Head of School, overseeing Spiritual Development of our students as well as continuing to help advance our school’s mission through development, media, community relations, and like-minded partners. Mrs. Susan Crosier will complete our “Lead Team” by serving as our Dean of Academics. Mrs. Crosier effectively serves our school(s) (Primary, Elementary, Middle and High School) as the leader and point person for teacher personnel, curriculum, and academic achievement. Mrs. Crosier will continue to lead our school in all areas of academic excellence. Alongside these changes there will be other changes in our organizational structure each intended to best position our school for continued success. We are thankful for your continued faithfulness and support as Grace Prep marches into the next season of ministry. 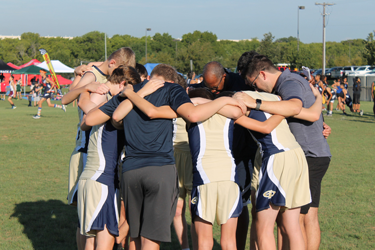 It is a blessed and tremendous time to be a part of the Lion Nation and we look forward with great expectation to what God will do in and through our school over the next two years.